when i was in college my roommate loved nutella. for some reason i refused to try it and avoided it like the plague for years. 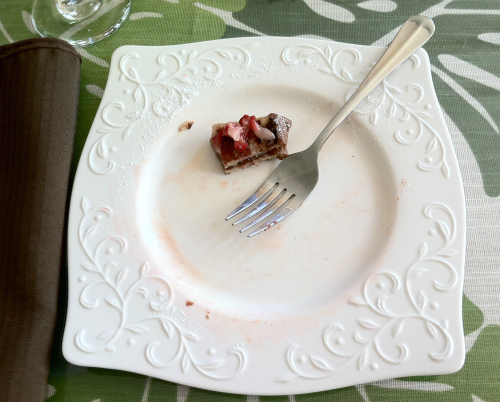 however, a few months ago my mom made a dessert that had nutella in the recipe, and i was surprised to find out that i really liked it. after reading the ingredients on the back of the jar, i was thrilled to see that it didn't contain corn syrup too. since then, ryan and i have been big fans of nutella. 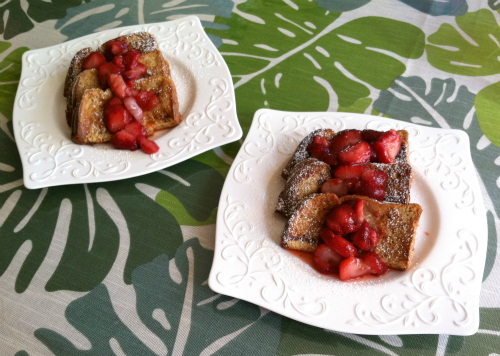 so, i was intrigued when i came across a recipe for nutella french toast last week. we decided to make it on sunday morning for breakfast, and we really enjoyed it. 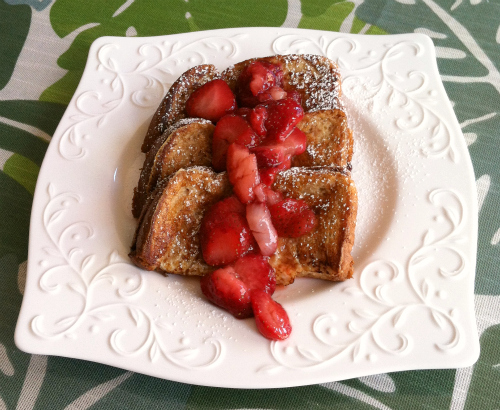 the hint of nutella added just the right amount of flavor to the french toast without being overpowering or too sweet. it was the perfect way to kick off a weekend morning! pour the sugar and lemon juice over the strawberries and toss gently. set aside. spread the nutella on one side of each slice of bread. fold each slice of bread in half, being careful not to break the bread along the fold. whisk together the egg, milk, and cinnamon. dip each folded piece of bread into the egg mixture, allowing the bread to soak up some of the mixture. melt butter in a large frying pan on medium heat. fry the bread, flipping as needed, until brown on both sides. 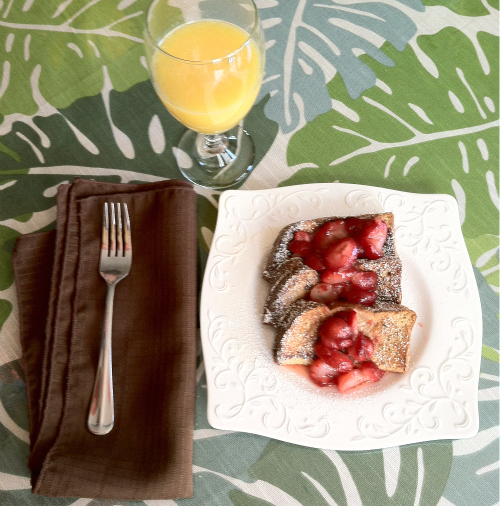 serve hot, topped with strawberries and dusted with powdered sugar. I recently discovered nutella too and LOVE it! I will have to try this recipe (along with the millions of yummy recipes that you post!). Now only if I could find the time.